We are a non-profit and 50% of our program and operational costs come from community support, grants and other donations. 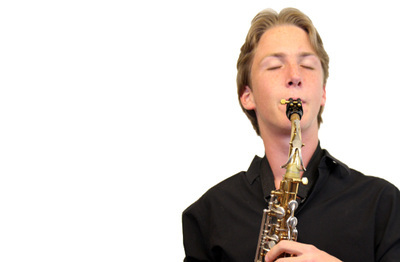 Help us continue by supporting our students and youth music education in Santa Fe. Maggie King is currently junior at New Mexico School for the Arts. 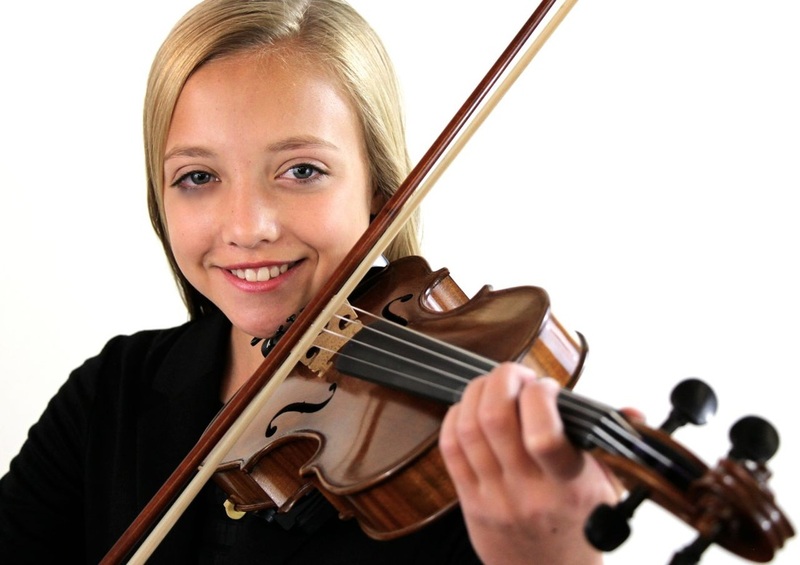 She began playing violin at age 3. She has been a student of Rick Lohmann at Santa Fe Talent Education since 2003, and has also studied with Richard Rood, as well as summer study at the exclusive Preludio Program in Ithaca College, New York, and the Summer Institute at the Lamont School of Music at the University of Denver. 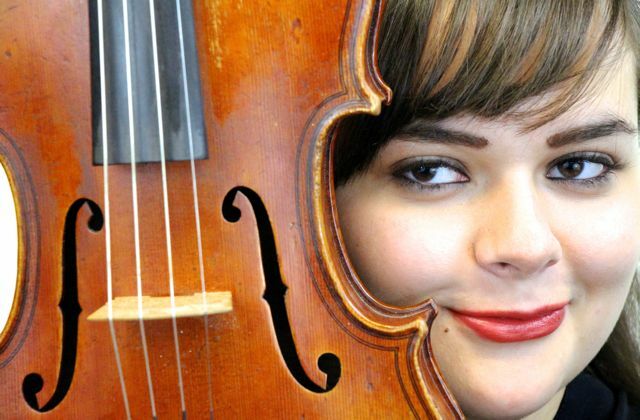 She has presented many solo recitals, beginning at the age of 7, and has been a member of the Santa Fe Youth Symphony organization for the past 9 years, including all of the preparatory orchestras before she joined the Youth Symphony Orchestra. 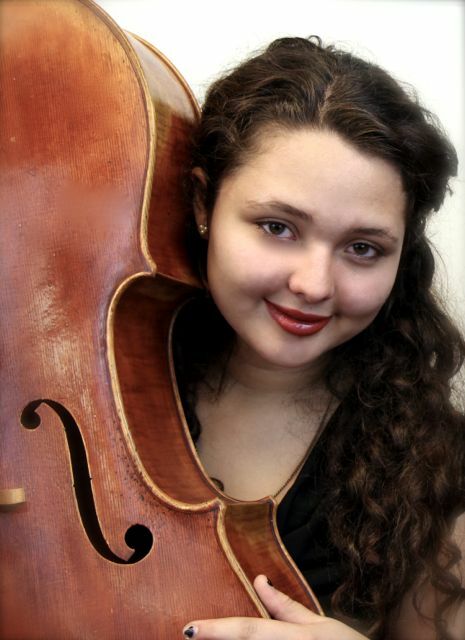 She especially enjoys playing chamber music, and her participation in Santa Fe Pro Musica’s Champs! 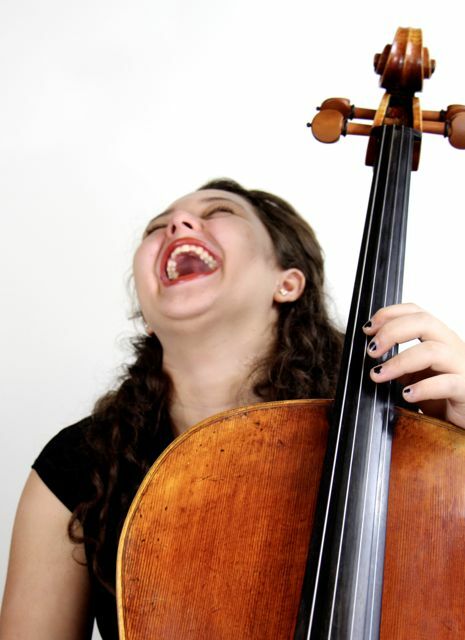 program and NMSA’s visiting artist program has given her the opportunity to play in master classes for wonderful artists as Stephen Redfield and Chad Hoopes, as well as the Brentano and Szymanowski Quartets. 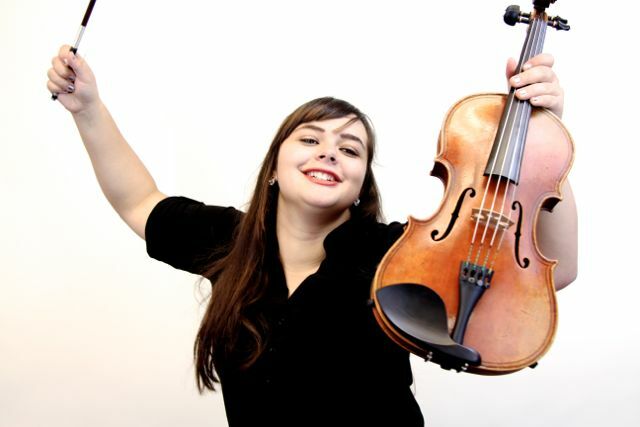 Maggie has been a mentor to many younger students in Santa Fe, working for Richard Snider in the SFYSA Youth Philharmonia and with Santa Fe Talent Education’s Enchanted Strings. On many a summer afternoon, Maggie can be found busking at Cathedral Park in downtown Santa Fe. 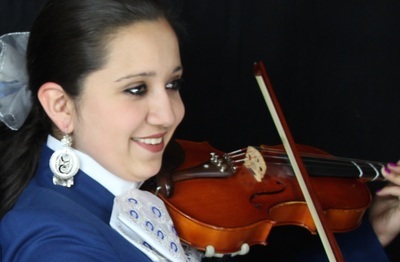 While playing violin is her first love, she also enjoys, reading, drawing, hanging out with friends and family, baking, dancing, singing, and teaching the catechism to fourth graders at San Isidro. Lupita Benavente discovered her love for music in second grade, when she first enrolled in violin class. When she joined SFYSA, she was the youngest girl in her "Mozart" program classes. After her first year she was asked to join the Mariachi program and participate with Mariachi Estrella. Eight years later, she continues to learn and have unique experiences with music. 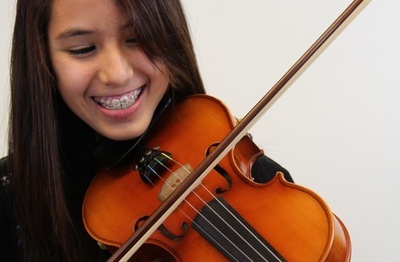 Her passion is playing the violin and singing. 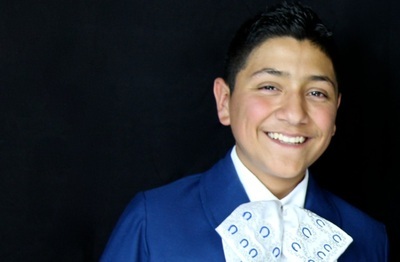 Miguel Benavente enrolled in guitar classes at age seven. After his first year, his instructor Raul Ojeda encouraged him to try playing the vihuela. 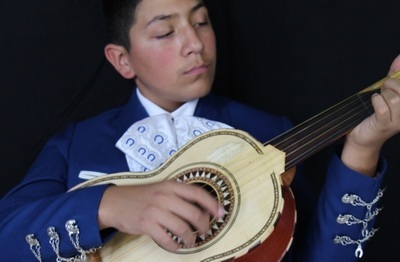 The vihuela has become Miguel's passion. For eight years Miguel has been a member of the Santa Fe Youth Symphony Association and an integral part of Mariachi Estrella, the advanced SFYSA Mariachi group. 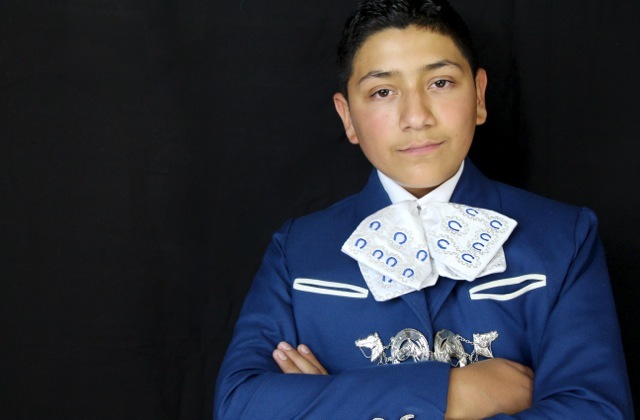 Miguel also plays professionally and accompanies his sister for private events. Fatima is currently part of the Youth Philharmonia Orchestra and has been with the SFYSA for seven years. She has been playing violin since she was six through the Elementary Strings program and has also served as a mentor for younger students. 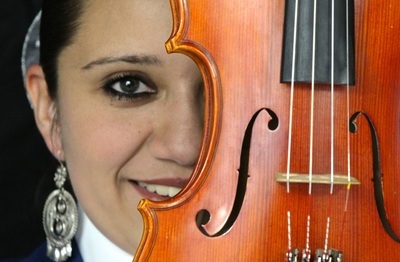 Fatima says that playing violin has given her the courage to perform in front of large audiences. 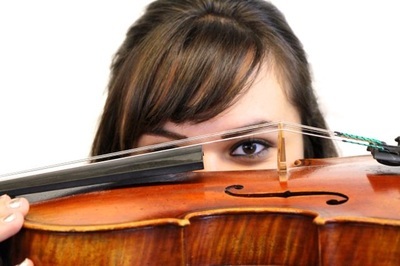 She has also learned valuable skills that have helped her beyond playing violin. Jacqueline first displayed an interest in dance and music at the age of three. 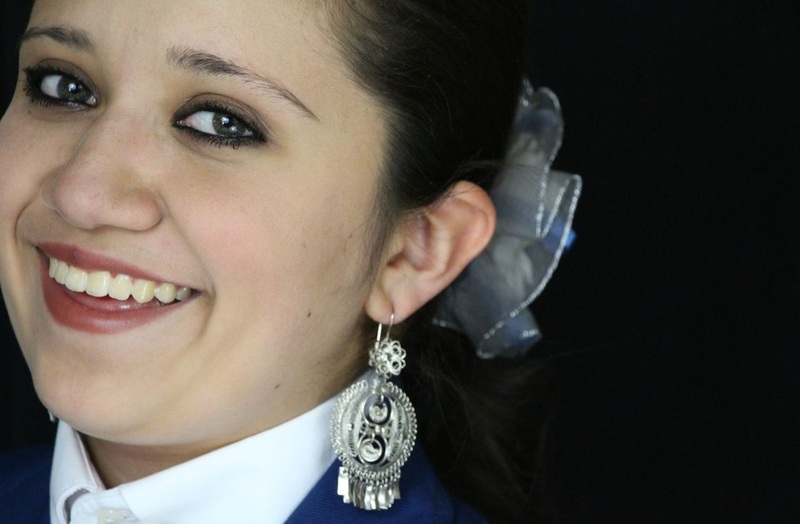 At age five she joined a local mariachi youth group and selected the guitar as her first musical instrument. 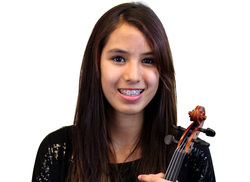 She joined the Elementary Strings program with the SFYSA at age nine and began her study of the violin. Jacqueline is also a choir member in the Music Ministry and dances with Baile Español, a local traditional Hispanic dance troupe. 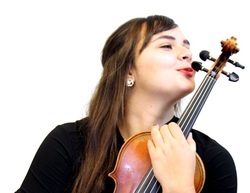 Julia is a junior at New Mexico School for the Arts where she majors in music with a focus on viola. 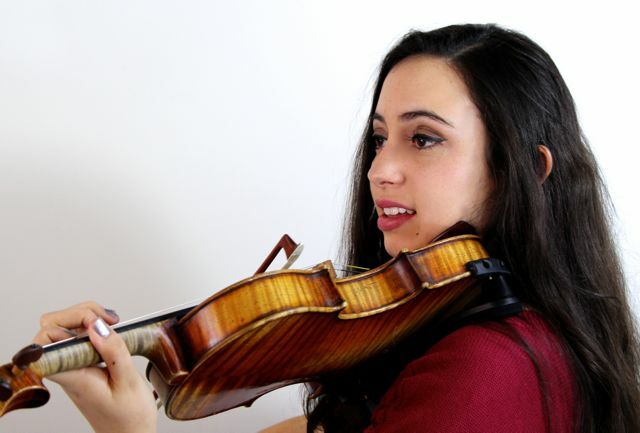 At age ten, Julia began her studies with professional violinist Rick Lohmann, more recently she's studied with esteemed violist, Allegra Askew. 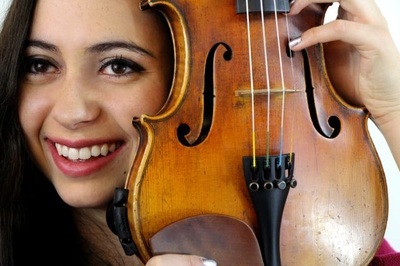 Julia plays with multiple youth music groups including the Santa Fe Youth Symphony Orchestra, NMSA Chamber Orchestra, ProMusica CHAMPS, and the New Mexico All-State Concert and Symphony orchestras. She also enjoys mentoring young musicians. Julia is grateful to the many coaches and music educators who have contributed to her successes, including Richard Snider, Dana Winograd, Neil Swapp, Melinda Russial, Brett Kroening, and the Illick family. In the future, Julia hopes to pursue a career in either viola performance or music education. Julia is also a dedicated 4-H youth and is fond of her chickens, rabbits, lambs, goats, and horses. Gilian has been playing violin for six years, studying with Margaret Carpenter at Santa Fe Talent Education. 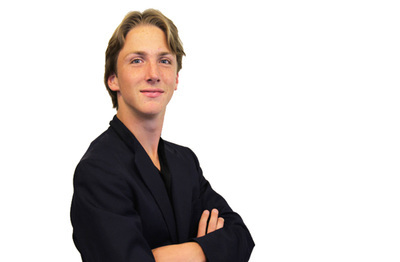 Four of those years have been with the Santa Fe Youth Symphony Association. 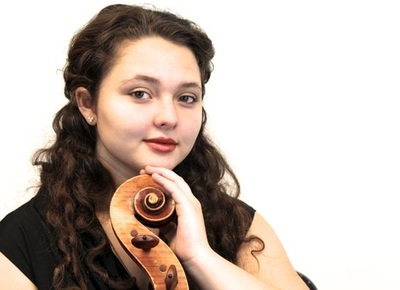 In the past, she has been a member of Intermezzo String Orchestra, Youth Philharmonia and is now in her first year of Youth Symphony Orchestra. She enjoys listening to classical but also like today’s top hits. 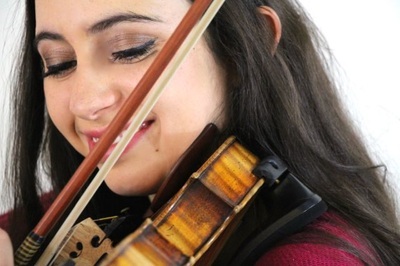 One of her most cherished experiences was going to see her favorite violinist, Hilary Hahn, at the Santa Fe Lensic. Violin is a hobby she hopes to preserve her entire life. 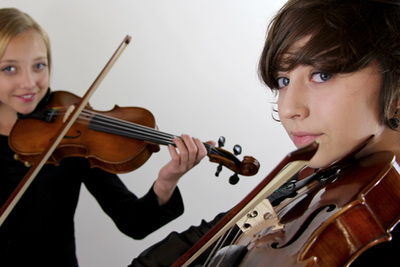 Maggie began playing viola when she was seven years old at Santa Fe Talent Education. Her first teacher was Margaret Carpenter and her first instrument was a cardboard cut out! 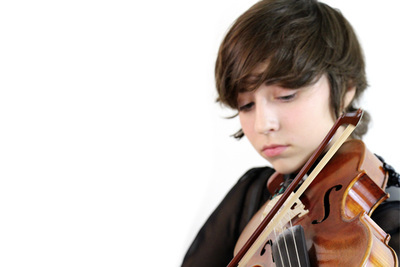 At age 13 she began lessons with Allegra Askew and later auditioned for the SFYSA ensembles. She was a member of Youth Philharmonia Orchestra for a year then became an apprentice to the Youth Symphony Orchestra, and mentored in Youth Philharmonia. 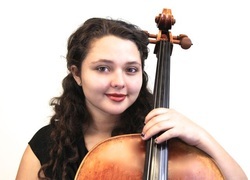 Maggie is part of the Youth Symphony Orchestra, and in her fourth year at SFYSA. Her favorite composers are Telemann, Saint-Saens, and Rimsky Korsakov. 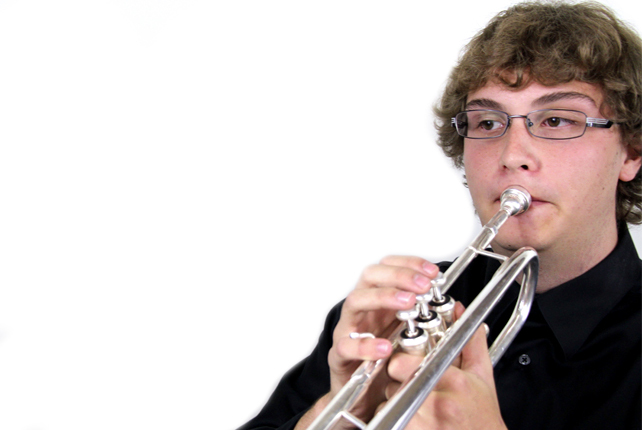 Mark began playing trumpet in the fourth grade. He chose the trumpet because it could be heard though-out the entire band. In 7th grade he joined the St. Mike’s junior-high band. 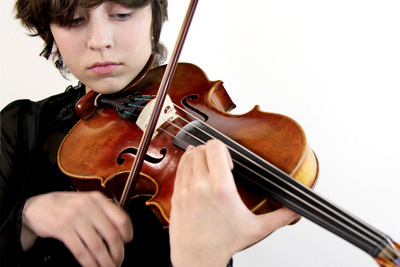 A year later, he auditioned and was invited to join the Youth Symphony Orchestra. 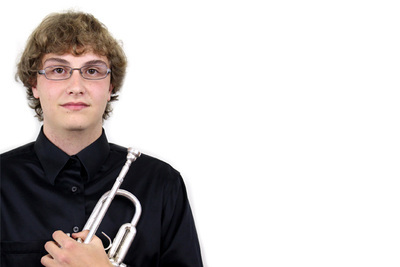 For the first two years he was the only trumpet in the ensemble! In 2013 he played in the melodrama, quite a feat, as it was just one week after having his wisdom teeth pulled. 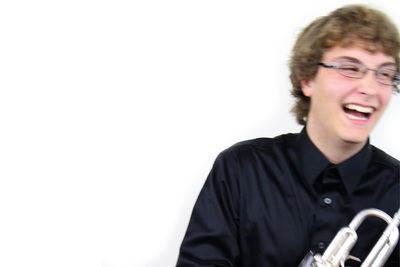 Mark recently joined the Santa Fe Community Band, which has helped take him to a new level. His other interests include chess (he's a two-time state champ) and snowboarding. 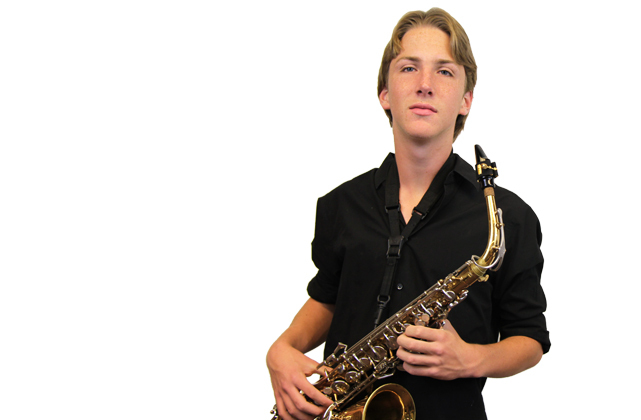 Max started playing jazz with the Youth Symphony in 2010, first on the clarinet and then switching to alto Saxophone. Max is also a member of the Santa Fe Prep Jazz Band. He has enjoyed preforming at as many different places as possible, including the Santa Fe Prep Stage, the Santa FE Plaza Bandstand Stage, and Warehouse 21. Max enjoys backpacking and camping. At school, he is also a member of the Hackey Sack Club.